As I wrote last week, I expected 2017 HIMSS to be filled with Wearables, Big Data, Social Networking concepts from other industries, Telemedicine, and Artificial Intelligence. After 50 meetings and 12 meals in 3 days, here’s my impression of the experience. Wearables, while still relevant, have gone from the peak of the hype curve to the trough of disillusionment. Google Glass, smartwatches, and innovative fitness trackers have not quite achieved their promised potential in healthcare, and no one is quite sure how to integrate their data into the workflow. That being said, Internet of Things is bigger than in previous years, with home scales, glucometers, and blood pressure cuffs becoming more connected than ever before. Middleware like Apple HealthKit has significantly reduced the interfacing burden. Big Data has morphed into Care Management and Population Health. We’re at a point in history when healthcare data has become digital, but few are sure how to turn that data into wisdom. Decision support services that analyze problem lists, medications, and genomic data, producing customized care plans, are emerging. The challenge is connecting them to the EHR workflow. The Argonaut work group met for a few hours to decide on the next interoperability capabilities for FHIR, and chose scheduling workflow and clinical decision support integration. This means that any third-party developer will be able to integrate their analytic functionality into EHR workflow, generating alerts and reminders and scheduling services (appointments, surgery, infusions/therapy, referrals, and even post-acute care) with limited effort and cost. To me, the most important theme at HIMSS 2017 was that FHIR/APIs, cloud-hosted services, and EHRs will come together in 2018 similar to the way the iPhone spawned the app store. Assume every EHR company will have a curated app store and sandbox for developer education/pilot testing within a year. Value-based purchasing has generated an interest in customer relationship management, with the patient as partner and consumer. As reimbursement moves from fee for service to quality/outcomes driven risk contracts, incentives are aligned to provide wellness services, “care traffic control,” and loop closure. EHRs are not optimized for these functions, so third parties are offering cloud-hosted customer relationship management for healthcare. Telemedicine and Telehealth continues to grow as efforts to reduce total medical expense move care from downtown academic tertiary referral facilities to lower cost, more convenient alternatives in the home. Telemedicine means many things and ranges from on demand virtual urgent care visits to store/forward second opinions to expert staff augmentation from a distance. Products are evolving that enable telemedicine record-keeping, billing, and mobile device secure communications. Artificial Intelligence/Machine learning is the new “plastics.”There is no question that AI is the peak of the hype curve this year. We need to be measured about our expectations for this technology. Computers do not “think,” they use pattern matching to focus the attention of humans, separating signal from noise. There are great use cases for machine learning — automating sorting of paper medical records for scanning by predicting metadata, scrubbing personal identifiers from unstructured data, and suggesting reasonable ICD10 codes for episodes of care. It’s not likely that an AI system is going to read the Merck Manual tonight and replace your doctor tomorrow. Although my voice is nearly gone, I’m leaving HIMSS with optimism for the industry. EHR vendors will increasingly share data with each other and with third party developers. Usability will improve as new applications and analytics reduce clinician burden. Patients will increasingly be equal members of the care team providing objective and subjective data from devices and mobile apps in their home. 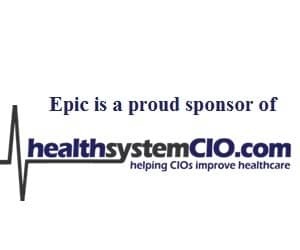 As I’ve said before, I believe the next phase of history belongs to the private sector, so for all of the developers, customers, and experts at HIMSS, it’s all up to you. What Does The Trump Presidency Imply For Healthcare And Health IT?